New Aftermarket Bobcat 320 Swing Gear. This swing gear is a new aftermarket part and is often in stock in our California warehouse. If the item is not in stock, the item lead time is about 45 – 60 days. Call us to see if you are one of the lucky ones with your swing gear or swing bearing on our shelf and ready to ship! 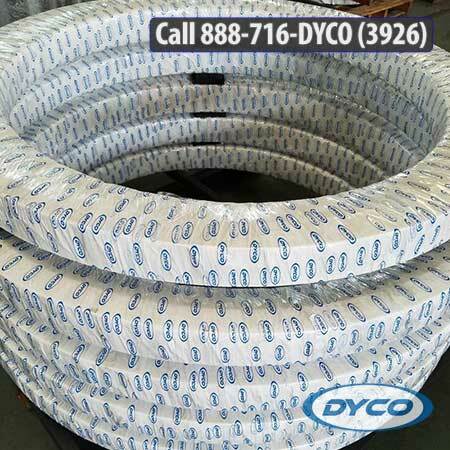 Call DYCO Equipment today at 888-716-DYCO (3926)! All back ordered slewing rings will be advised to the customer with expected delivery dates. Any special order (non stock) placed to the factory will be considered non-cancellable and non-returnable. Thank you for your interest in DYCO Equipment Company. As experts in the industry providing our customers with final drives, swing drives, and related components, we are confident in saying that DYCO should be your primary source for any drive unit or drive related parts.